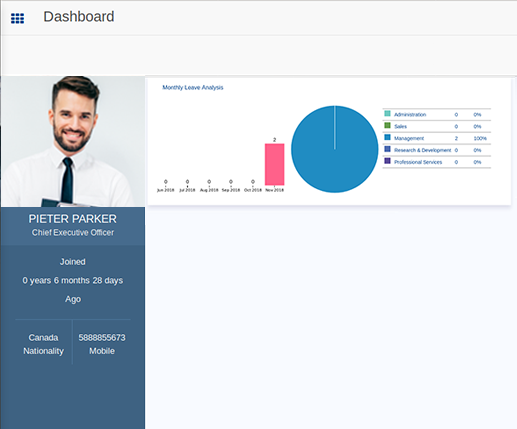 Open HRMS dashboard functions as an advanced analytics tool displaying important HR metrics using their interactive data visualizations. Open HRMS helps the human resources department of an organization to improve their recruiting processes, optimizing the workplace management as well as to monitoring and enhancing the overall employee performance. 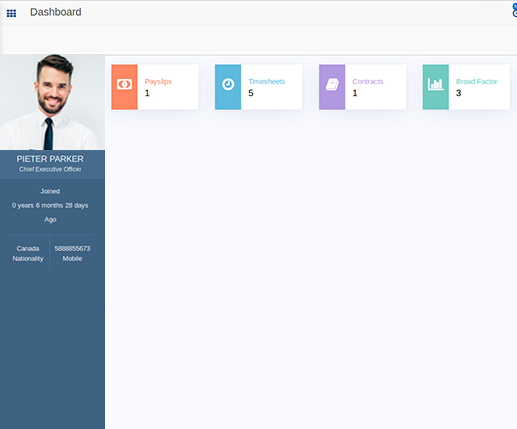 Open HRMS dashboard encompasses all the vital details of an organization. It provides insight to information like the number of payslips generated, the running contracts, timesheets, broad factor and checking/checkout status in a single click. As well as it shows the current user’s details like name, position, joined details etc. 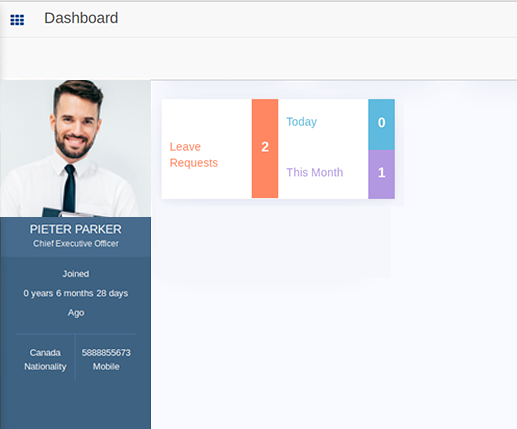 Open HRMS Dashboard provides an overview about leave requests send by employees to the HR Manager. HR Manager can see all the leave requests sent in different time periods like today, the current month and all requests. 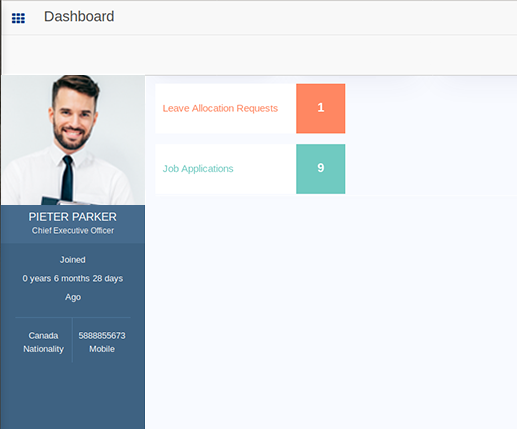 As mentioned above, the user can see total leave allocation requests in Open HRMS - HR Dashboard, as well as total job applications received in a recruitment process. By clicking on it, he can see all those things in detail. One of the most advantages of Open HRMS Dashboard is that it helps to analyze data in different ways. To ensure that Open HRMS Dashboard provides a different kind of graphs like pie chart bar graph etc. 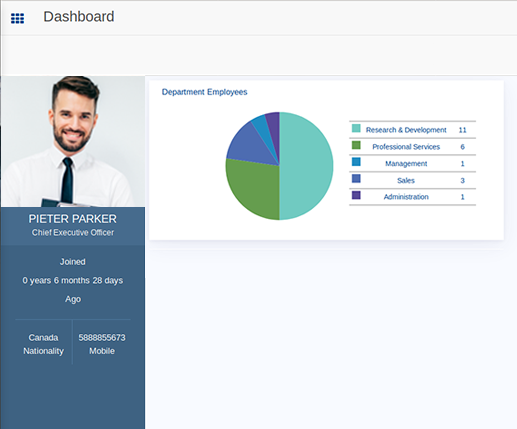 It helps to get an overview of total employees in a different department by providing those information in a pie chart view. 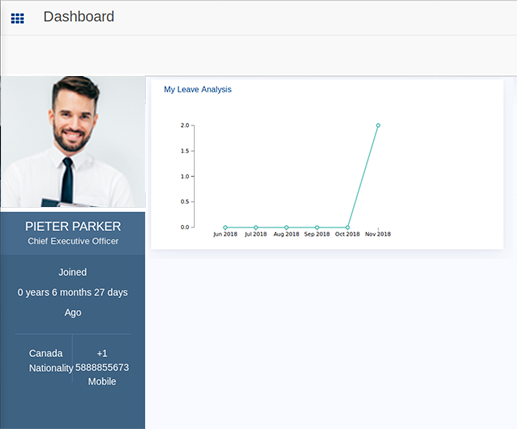 Another feature of Open HRMS HR Dashboard is the detailed leave analysis of the entire organization. The authorized user can easily understand the total number of leaves taken in different months via bar graph and total number of leaves per department via pie chart view. HR Manager can know whose birthday is coming up in the Dashboard itself. 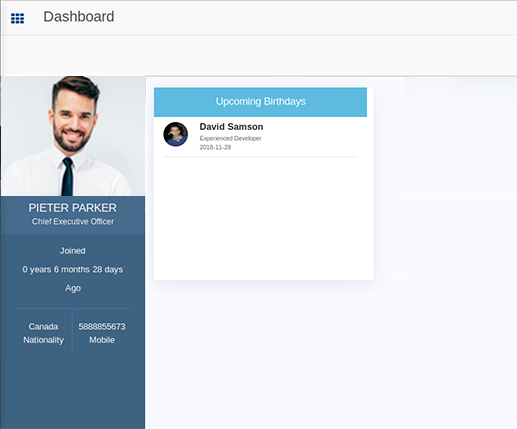 Open HRMS HR Dashboard shows all the upcoming birthdays as a list. The Open HRMS Dashboard helps the end user to analyze his own leaves for different months. The line graph quickly shows the time frame and number of leaves the employee took.